The OS0810 provides protection from theft and fire. It has a UL one hour fire rating as well as a UL impact protection label. The OS0810 fire safe also comes with ETL 1 hour fire protection for CDs, DVDs, USB drives and memory. sticks. 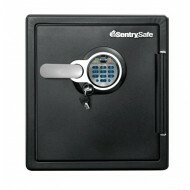 This small fire safe has a key lock (LCD) with back lit key pad. 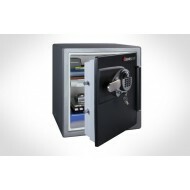 The key lock is easy to program and quick to operate. Among the security features are four life locking bolts. The interior includes a key rack. 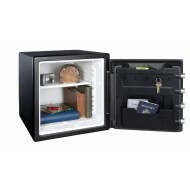 This is a great safe for all applications from home to industry. 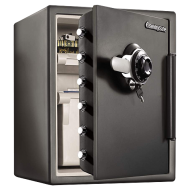 This is a large heavily built security safe. 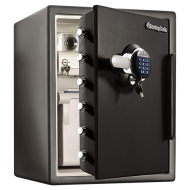 Sentry safe has used solid construction and easy to use electronic lock to make this the perfect safe for security. It is heavy weight and can be bolted down for extra security. 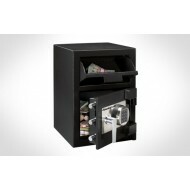 This Sentry depository safe has a drop-down door for depositing cash, envelopes, receipts and whatever else you need to get in safe storage. 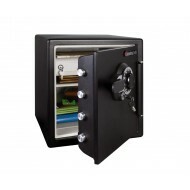 Among the security features of the DH-074E depository safe are solid steel construction with a 12mm door and a 3mm body. 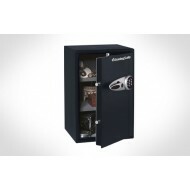 Secure this safe to the floor with the pre-drilled anchor holes and the hardware which comes included. 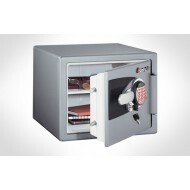 This safe has the versatility to work for retail stores, churches, offices and other situations.